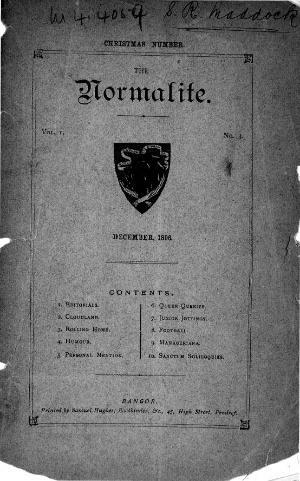 The bilingual periodical of the students and past students of the Bangor Normal College that mainly published college news. Originally a trimonthly publication, it was published bimonthly between Summer 1958 and Christmas 1962, and subsequently irregularly. Amongst the periodical's editors were T. A. Davies and F. G. Whittick.